This is ground control to Major Tom, are you ready for lift off? You will be after working your way through this fabulous book, The Space Craft Book. The GMC Group have kindly offered to give away three copies of this book to my readers, aren’t you lucky! Read on for my review and fill in the widget below to enter the give away. I have reviewed a book from The Little Button Diaries before, it was all about Pirates. We had lots of fun trying out the crafts, especially the cake. I knew straight away that The Little Man would love this Space Craft Book but I didn’t realise just how excited he would be. He wants me to make absolutely everything in it! Starting with the Walkie Talkies, after all, you need to keep in contact when you are in space. We love the bright colourful photos and the easy to follow instructions. There are crafts for all sorts of abilities, from the novice to the more experienced. There are even instructions for party food and a lovely recipe for a Moon Cake. 5…4…3…2…1… blast off! Create awesome space accessories for mini astronauts to pay with. The sky’s the limit with this inspiring craft book, which contains 15 easy-to-make projects for budding space explorers. With clear step-by-step pictures and handy templates, there are also ideas for a space party and instructions on how to build your very own rocket den, ready for intergalactic missions to explore unknown universes! The Little Man has already given me his list of everything he wants me to make and I’m collecting all the materials. It should be noted, though, that these crafts are mainly for parents to make for their children, rather than children making them themselves. Any child would be thrilled with the crafts though so it’s worth it and they will get lots of play from them. If your handy with a pair of scissors and want to make your little astronaut happy then please enter my give away to win one of three copies of The Space Craft Book. 7. The winners will be randomly chosen, and will be shown on this post, with further notifications may be shared on social media. 8. The winners will be notified via email, and will need to respond within 4 weeks otherwise a further winner will be drawn. I’m no expert when it comes to make-up, in fact it took me a while to stop my make-up habits first developed circa 1982. Jackie Magazine was my inspiration, it was hard work getting my fine, thin hair looking as full as this! The blusher application was a talent in itself. I do love a more natural look now though, and when I get dressed up I will go for a smokey eyed look rather than full on colour. So I was thrilled when I was sent this W7 Smokin’ eye palette from Free Stuff. As you can see, the palette contains 12 eye shadows with shades of greys, browns and nudes. There is also a choice of matt or shimmer shades. It’s perfect for carrying you from day to night by adding a little sparkle. The palette is a sturdy tin so it will stay safe in your bag and there is also a handy applicator and brush supplied. The shades are crease free and provide great coverage and they are perfect for a smokey look. How do you fancy the chance of winning one of ten W7 Eye Shadow Palettes for yourself? But I’m not asking you to give it to me for free. I have a lovely little gift to give away to one lucky participant in my little blog reader survey. It’s so short it literally takes just a couple of minutes to complete. Then if you put your e-mail at the end I’ll enter you into my prize draw. I am trying to learn more about people who read blogs, why do they read them, what are they looking for in a blog post and what makes them come back again. I want to create a blog reader persona and you can help me, even if you don’t really have much interest in blogs there must be something that brought you here today. It doesn’t matter if you read hundreds of blogs a day, or just one a month, I really want to hear from you. The questions are simple and multiple choice, so you just have to tick a box or boxes. And like I said, it really won’t take up much of your precious time. Now what am I giving away as a prize? 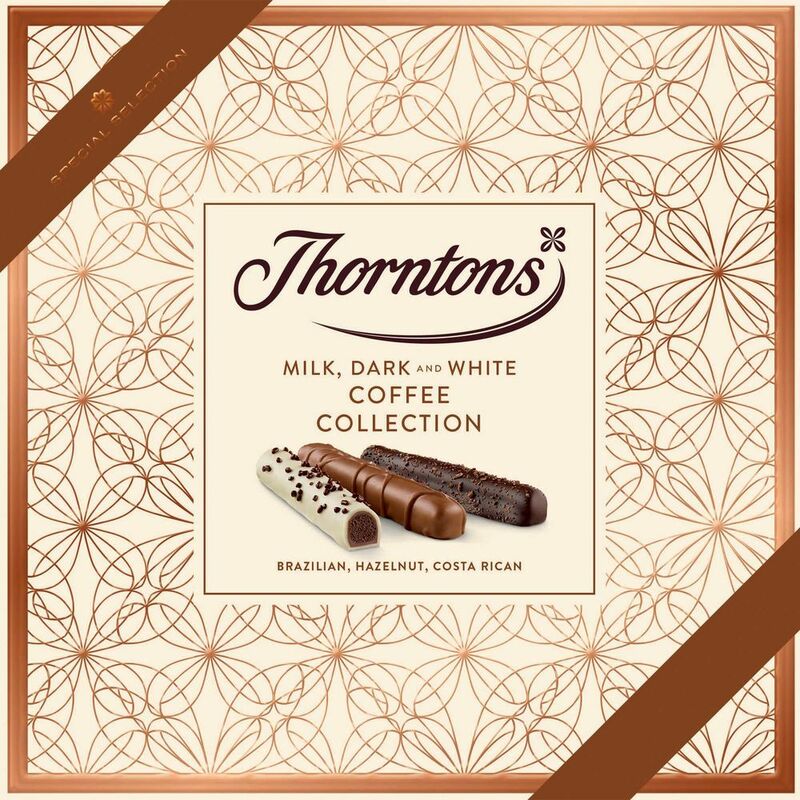 How about some chocolates from Thorntons? 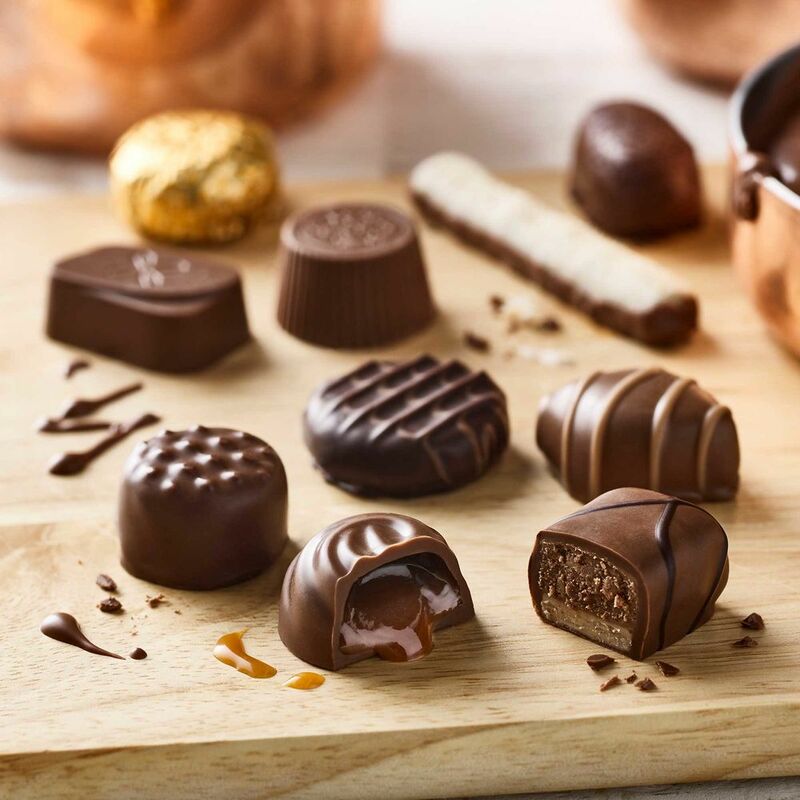 Thorntons are currently promoting their Autumn Collection of chocolate, toffee and fudge, perfect for when the nights start to draw in. How about a lovely box of chocolate covered toffees. First gooey then chewy! Or Maybe you are nuts about nuts and would prefer this lovely box of nuts and praline collection? Can’t make up your mind? 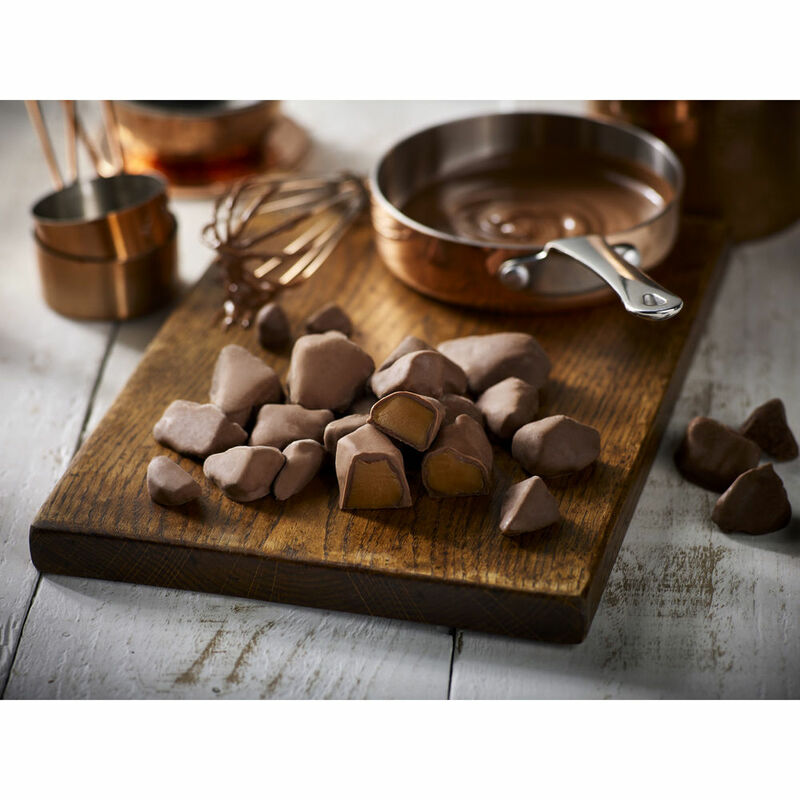 How about a classic collection where you can choose from Creamy fudge to Honeycomb, Coffee Truffle to Turkish Delight. Something for all tastes in this delicious selection. Can’t decide? How about a perfect Autumn Bundle containing no less than Ten lovely selections to suit everyone’s taste. Have I tempted your taste buds? Feel free to click through and take a look at what’s on offer but don’t forget to go through Top Cashback first. 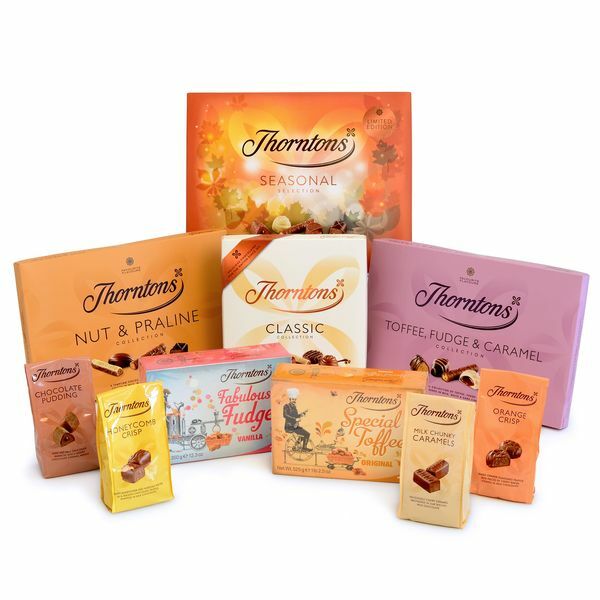 All links are my affiliate links but you can just visit the main Thorntons site if you want to browse through yourself. So my dear chocolate (or toffee) lovers, this survey is very important to me but I know you are all really busy. That’s why I’m offering a box of Thorntons chocolates in return for your time in answering my questions. Strike that!! 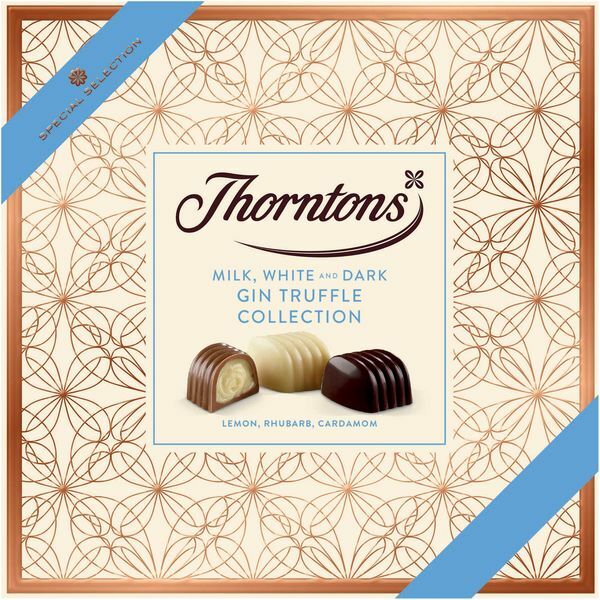 I’m going to be giving one lucky participant TWO boxes of Thorntons Chocolates! All you have to do is fill in my survey form below and enter your e-mail at the end for your entry. E-mail addresses will not be collected, they are purely for identification for the give away, so please don’t forget to fill it in if you want to enter. Please see details at end of post for how to enter. Prize draw ends 27th October. E-mail addresses will be collected for competition purposes only, if you don’t leave your e-mail I cannot accept your entry but you can still fill in the survey form. Remember, I can’t choose a winner unless you have left your e-mail address for identification. E-mails will not be collected for any other purpose. Sorry, I’ve had to close the survey early, all entries so far are received and ready for the draw on the 27th. If you have only just arrived here and not yet entered then please feel free to leave a comment saying you wish to be entered. I can then rip your e-mail from the comment and no-one else will see it. You will need to comment and say you wish to enter so I can take your e-mail though as although I can see your e-mail it would be unfair for me to take it without your wish. All e-mails will be used for competition entry only. If you did wish to subscribe to my blog you can do so using the bar at the top of the page or the section in the sidebar.